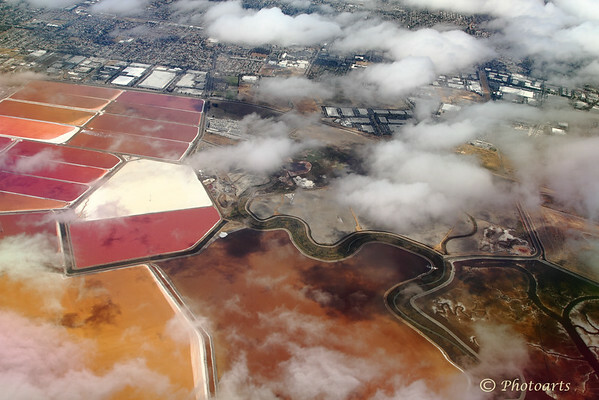 "San Francisco Bay Salt Ponds"
Amazing array of colors and patterns at San Francisco Bay area's salt ponds only comes to life if viewed from the air. This unique area is used to harvest salt from sea water, one of only couple places in all of United States to use this method of harvesting sea salt. Neat pov...those ponds are very colorful! Aerial shot are so cool! Great colors!